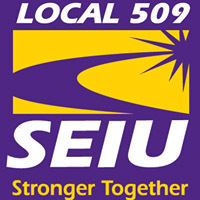 SEIU Local 509 is a fast growing, progressive union representing nearly 20,000 state workers, human service workers, higher education faculty and family childcare providers in Massachusetts. This position oversees the family child care department of local 509, which represents approximately 3600 family child care providers and early childhood educators throughout Massachusetts. The department provides representation, bargaining and leadership development. Union membership is voluntary in this department making internal organizing a constant need and challenge. Leads recruitment and development of member leaders. Serves on the senior staff helping to plan and carry out strategies to build the strength of the Local Union. Must have at least 5 years’ experience in community or issue based advocacy, preferably within the labor movement or political campaigns. With at least 2 years of management or supervision experience. Must possess good written and oral communication skills and have the ability to work in stressful situations. Must be willing to work long hours, travel in-state and work on weekends and evenings. It is preferred that the applicants be bilingual in Spanish and English. SEIU Local 509 offers competitive salaries and excellent benefits including: 100% employer paid health insurance and pension, ample vacation and other generous leave policies, professional development opportunities, and a family friendly work environment. SEIU Local 509 is an equal opportunity employer which does not discriminate in hiring and has a strong commitment to diversity — women, people of color and LGBT candidates are strongly encouraged to apply. Interested candidates should submit a résumé, and cover letter to: Ken Margolies, Margolies and Potterton, recruiting consultants, kam47@cornell.edu, 845 499 6636.